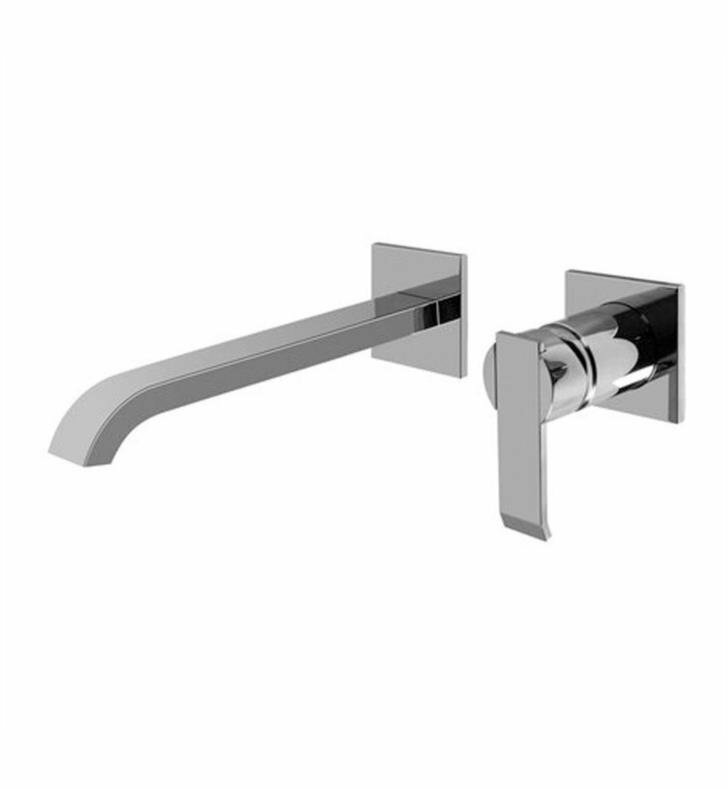 The Qubic Wall Mount Bathroom Sink Faucet with Single Handle - Large is characterized by a utilitarian, angular form that fits into virtually any motif. This no-frills sleek sink faucet is made from solid brass, making it resistant to corrosion and deterioration. The easy-to-use handle makes water and temperature control simple. Select the idea finish for your modern bathroom. H 2 3/4" x W 4 1/2" x D 9 1/4"